In a duel that had two young pitchers pitted against each other, the Dodgers outlasted the Braves to win it in extra innings. That's 6 wins in a row for the Dodgers as second place in the Western Division look very reachable. It's hard to believe this is happening now. How, after months of turmoil and disappointment can the Dodgers all of the sudden look like the team to beat. I only wish that the Diamondbacks would lose a few. That way, I can start dreaming of a come from behind division championship. Still, the Dodger recent rise to prominence is a welcome sight. BTW, is Eovaldi for real? 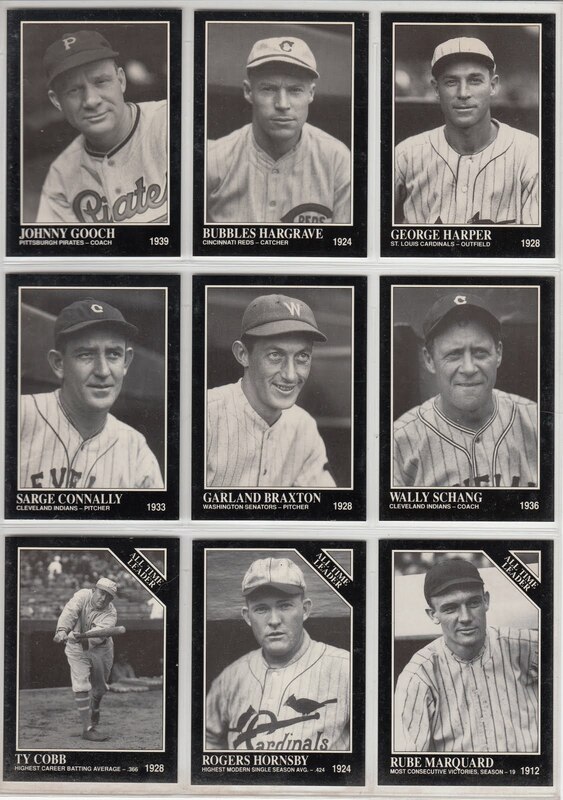 Here are todays Daily Conlon cards numbered 244 through 252, and it features Hall of Famer and former Brooklyn Robin Rube Marquard on the bottom row, far right. Click on any pic to embiggen. 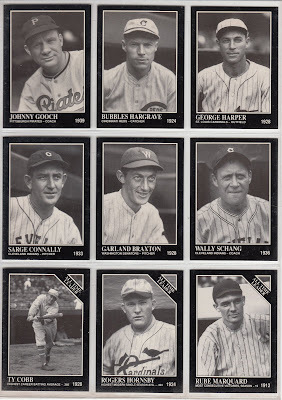 "during Rube's 19 game streak, he relieved in the 8th inning of a game the Giants ultimately won. Present-day rules would have credited him with the victory, and he would have posted a consecutive streak with 20 games." 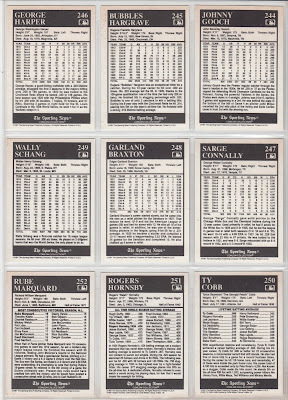 For a game by game rundown of his streak go here. Other accomplishments by Marquard include a no-hitter thrown against the Brooklyn team on April 15, 1915. 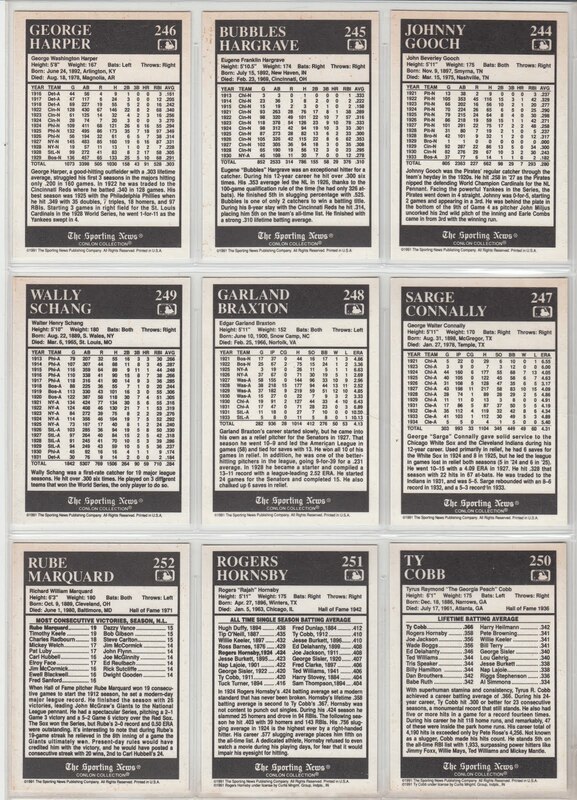 On top of that, later that season this Giants pitcher orchestrated his own trade to the Brooklyn Robins to be with his old coach Wilbert Robinson. Here is the 3rd recording from the 1963 LP The Sounds of the Dodgers. Check out the last two I've shared so far over here. 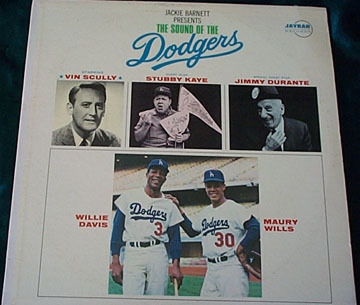 This time we hear Maury Wills go solo with his tune "Somebody's Keeping Score."